» How to confiscate guns under SB 525? How to confiscate guns under SB 525? 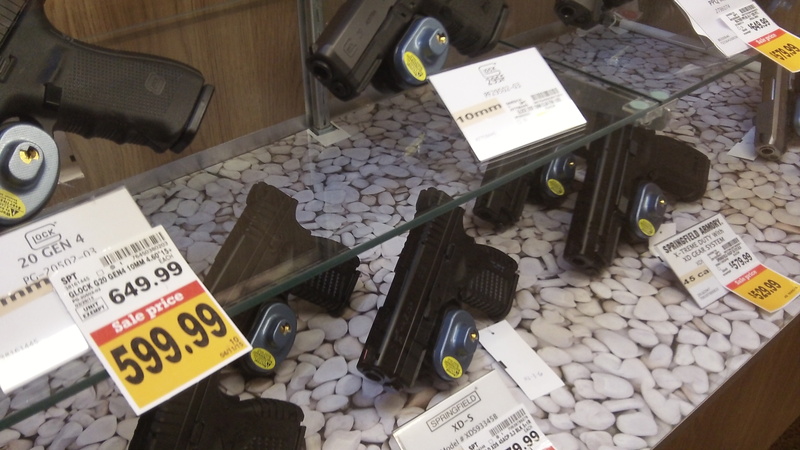 In a display case at Fred Meyer, guns are easy to find. In a search under SB 525, not so much. In their eagerness to legislate against guns and their owners, Democrats in the Oregon legislature never seem to be concerned about the practical side of life, meaning enforcement of the laws they pass. The latest example is Senate Bill 525, intended to force persons prone to domestic violence to get rid of any firearms they may have. On the face of it, it makes perfect sense to say that society in general and certain families in particular are safer if violent and abusive family members don’t have ready access to deadly weapons. So SB 525 would make it unlawful to possess a gun or ammunition if you’ve been convicted of misdemeanor domestic violence or have been served with a restraining order under the Family Abuse Prevention Act and have had a chance to object to the order at a hearing in court. But how would it work? Somebody, let’s say a man, is the target of a qualifying restraining order that’s been upheld following a hearing. So now it’s unlawful for him to own his gun or ammunition. If he has either, how long does he have to get rid of it? The bill doesn’t say. Presumably the prohibition takes effect right away. The bill doesn’t make this clear, but if possession of a firearm or ammunition amounts to a danger to the family protected by the restraining order, then presumably the police have the power to take both the gun and ammo away. How would that work? If a request fails, could the police stage an early-morning raid with a SWAT team and ransack the premises to discover any possible hiding place where a gun or box of bullets might be concealed? Would a court order or a warrant be necessary for this to take place? Or could weapons be confiscated based on the restraining order itself? And why is this any different from other “feel good” laws our legislature wants to pass. I used to honestly think that nobody ever started out to pass a stupid law. Over the last few years I’ve been forced to change that thought. But isn’t this just like when engineers design car engines they don’t have to work on (read major disassembly on some models to remove the spark plugs). Politicians pass laws they don’t have any idea on how to enforce or give those who will be expected to enforce them the guidelines to do so. Just more Democrat grandstanding that further erodes our guaranteed Constitutional rights. Democrats haven’t known what they’re doing for decades now, and unfortunately there are more and more Republicans that fit that description as well. ENFORCEMENT and PROSECUTION are key to the success of any law. Politicians (and many judges) today don’t seem to be capable of grasping that concept. This bill should die a quick, painless death. Time will tell, but given the dominance of the idiots in power in Oregon, that may be far too much to wish for.